The 70s was an interesting period, and we at Johns Toys Store want to celebrate it! A decade of disco dancing and really weird clothes, which had an interesting impact on other spheres of life, including toys. If you need an example of that, think of pet rocks. As they say, a true marketing genius can sell you anything, and you really have to be one to sell rocks to kids. 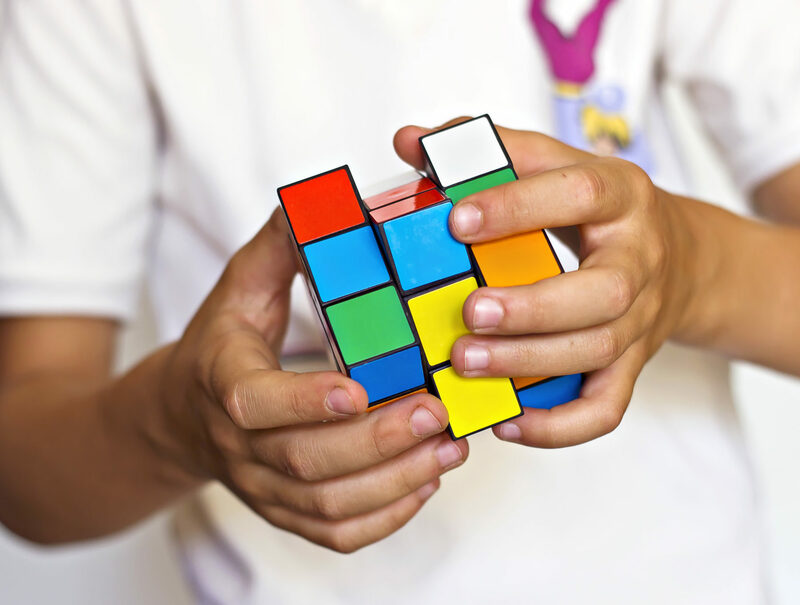 Another example of 70s toys is Rubik’s Cube, which is still here now. That used to be an ultimate challenge for kids, however, it wasn’t easy to solve one. Kids used to spend hours, trying to conquer at least one side of that cube. The 70s was rich in brainy games, such as Boggle. Boggle allowed kids and adults to play together and learn new words. The game truly united different generations! However, there were many other games, like Hungry Hungry Hippos, that has those little marble pieces that used to fly away during the game. That game was created purely for entertainment. During the 70s the first “alive” baby doll appeared. That completely changed the world of every little girl in the US. Alive dolls that could pee and poo were a miracle of that time. And of course, there were many others, including popular Star Wars figures, which were collected by both kids and adults, as well as Nerf games. Old generations have been truly blessed with a unique range of toys, which certainly would never be repeated in the current days, nor be available for the new generations who are growing up within the technological surrounding. This concerned range of toys, though being manufactured with lower technological and innovative standards, still preserve its value inside individuals who were accustomed to use them in the past, even if they have been thrown away, lost, or disregarded for any possible reason. Such a topic induces nostalgia and beautiful innocent memories. Accordingly, one article is certainly insufficient to do a proper and appropriate coverage of it. As an introductory step, let’s take a look at, for the time being, two of the items, to which the kids of the past were acquainted. Despite having a more or less moments of irritation while playing with it, the fact of being funny is undeniable. With this transparent small box enclosing water and tiny light colorful rings, as well as some hangers on which the rings should be placed, the player has to keep pressing the white button in a way that allows water to move the rings appropriately until bringing at least a ring onto the hangers. Our Denver SEO Company actually consulted with a company in regards to bringing this lovely gem back to life! The irritation induced by this toy is not confined only to the attempts of placing the rings, but also the attempts of keeping the already-hung rings in their places (struggling to do it successfully) during the session, since they are very likely to move off their places and get back once again free into the watery medium! Old toys were not all created for the enjoyment of a single person at a time; this game enables up to four to share the funny moments. It is not fully primitive, as batteries are required for it to operate. 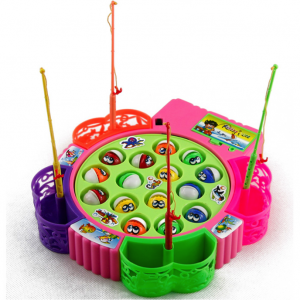 The concept of playing is very simple: turning on the toy makes the fish base move in a circular fashion, and the fish, being attached to the base, start opening their mouths as an indication for the player to approach the fish with the stick and grab it off the base. Incorrect placement of the fish causes them not to open their mouths, which prevents the player from catching them. 2016 has been quite the year with several amazing toys ranging from interactive furry friends to board games such as the Hatchimal, Skiwampus, Mario Party on 3DS, Ozobot Robot, and so much more. No matter what toy you pick, you know it’ll be more fun than repairing garage doors in Lakewood, CO! However, out of the top rated toys of this year the best and most anticipated toy of 2016, is the Hatchimal. This wonderful and interactive toy, the Hatchimal by Spin Master, is similar to the 1990’s Furby. Both are very popular amongst all ages who either crave the nostalgic feeling or for children who can have an interactive pet at their hands. The Hatchimal comes as a mysterious egg which later hatches on its own after 30 minutes of consecutive play. Each Hatchimal is separated into two different families, Draggles and Pengualas, which can either be male or female. Once the Hatchimal hatches from its egg, the fun begins. Each Hatchimal has stages of growing starting from baby, toddler, and ending with kid. By the loving touch and care you give to your furry friend you help them grow and by doing so they allow you to know how they’re feeling through rotation and glowing eyes. The Black Friday Door BusterThe Hatchimal was so popular it sold out within minutes online and within the stores. During Black Friday select stores were given a limited quantity for first-come-first serve customers (Door Busters). 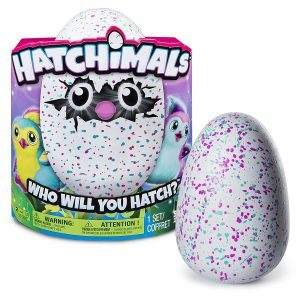 The original price the Hatchimals are sold anywhere from $81 to $139. However, during Black Friday this deal at Walmart was exclusively sold at $48.88. If you’re looking for the perfect Christmas or Birthday gift for your child or even for yourself, this is one deal you can’t pass up. Although the Door Buster deals may no longer be available these furry little friends are definitely worth the cost and time. You can find them anywhere on their website, Ebay, Walmart, or even Amazon. The possibilities are endless! The 1990’s was the generation of a new rising in technology, games, fashion, and beginning of current trends today. Whether you’re interested in seeing the latest and the greatest toys of the 90’s or want to take a trip down memory lane, this is the place to do so. This little handheld device was one of the most played with toys since its initial release date in 1996. Made in Japan this hot item was all the buzz with the children in the United States because it included a virtual pet which you could feed, maintain its health, and happiness. 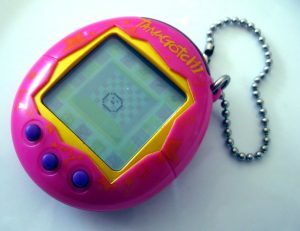 This taught children of all ages how to maintain and care for a pet in a virtual sense, that was fun and travel size for convenience. Whether you are hiring someone, going on vacation, or even going to a friends house you could always bring this friend along. Although originally this toy was released in the 1960’s, many generations continued to use it throughout time; especially the millennials. This toy was fun and let children use their own imagination. 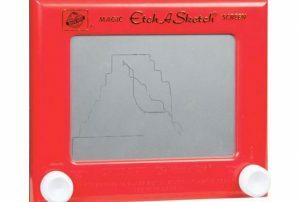 While the Etch A Sketch was limited in mechanics and only having two buttons, the device would allow users to develop a lineographic image onto the screen. 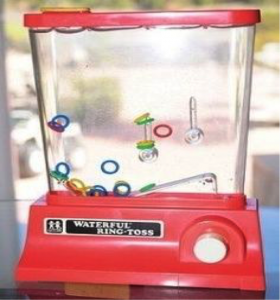 Endless pictures and pure fun was made from this baby boomer toy. 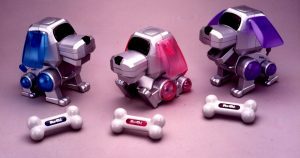 The Poo-Chi was a fun interactive robotic dog that came in 4 different colors including purple, blue, pink, and green. This pooch made sounds such as barks, growls, and whines by patting a square button on the top of its head. They also came with a plastic bone in the same color as the Poo-Chi itself. However the Poo-Chi wasn’t the only robotic pet on the shelves, the Baby-Chi, Cat-Chi, Dino-Chi and many more were also available for purchase. Although the product was released in the year 2000, the number one buyer was to the 90’s generation. While My Little Pony was invented before the 1990’s and loved by many generations before, the most popular time it was widely known was around this time period. 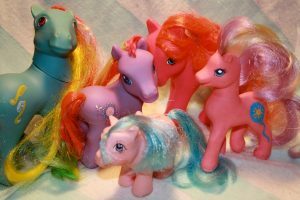 With a new design, called generation 1, and a brand new TV series, the plastic and rubbery My Little Pony horse dolls were one of the best selling products of its time. My Little Pony is still selling today, however questionable as to whether today’s model and remake is better than the rise of the 90’s. Another creation from the 1960’s traveled its way to the 90’s generation and continued to be a continuous success. With this item you could cook different types of pastries and came with small round pans and plastic spatulas. The design was close to that of an actual oven but was safe for children’s use, being powered by a 100-watt light bulb. 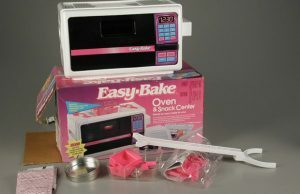 The Easy Bake oven is still widely sold in the stores but of a different design and other added ingredients. Were these toys what you expected or what you would’ve considered on your “Top 5 List”? In the meantime I hope you got an insight of what the hottest selling 1990’s toys were or went back to the future and revisited great childhood memories. I will be the first to admit that I love my video games. And I am not completely sold out to one platform or another. I just play what I like on whatever platform that it is offered on. I find that, most parents, have a very difficult time determining which gaming system they are going to buy for their child. They want to give the best to their child naturally, but with so many choices, how do you really know what to choose, unless of course you play yourself. And if the parents didn’t have a hard enough choice making a decision on which one to go with, you throw into the mix what little Johnny wants to play so that he will be cool with his friends and they won’t think that he is stuck back in the Atari age, for crying out loud! As a gamer, I can understand why it would be important for my child to have a great gaming system and not something from the stone ages. You want your child to feel that he or she is accepted in that circle among their peers. Let’s not underestimate the importance of homework and chores, but let’s not sweep the importance of the freedom and release that video games can bring to our children either. There are over 9 gaming platforms to choose from and most parents choose to invest in only one of those for their home. Although, I have personally gone through 8 or 9 of them, I ONLY have 2 at the moment, not counting my computer. 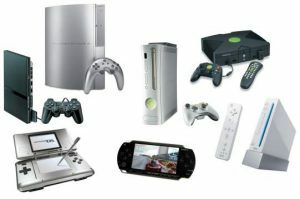 You can find various websites that will help to rank the game consoles on a various number of criteria. Anything from price to violence of the games, to parental controls available. There are different consoles for different age groups as well. There are many different specs and technical aspects that you can look at to help make your purchase decision. Doing your due diligence on which console to purchase for your home will help alleviate problems in the future. You don’t want to get a console that is too mature for your 5 year old, just the same as you don’t want to get a console for your teenager that is rated for elementary kids. If there is WIFI or network capability, that is something that a parent will want to keep in mind as they are purchasing. I know for my home, we have internet options on our PlayStation 3, but our daughter is still to young to have that feature activated. She is still able to enjoy all of the tools that her games allow her to play and we have a peace of mind that she is safe. 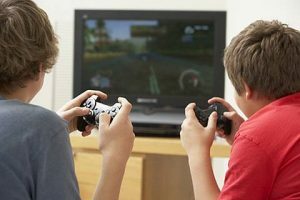 Video games can be used as a reward system in your home for chores getting done, good grades, or as a special incentive. Games can also be used as an interactive tool for educational purposes as well. Your kid will be learning and not even know it! The best advice I can give when deciding on which console to buy is talk to your child and then do your research to make sure that what they want lines up with your wallet and your priorities. In today’s world, we are so caught up with our lives and making sure that our kids aren’t left out of anything that is ‘good’. To make up for some for the lost time, we want to give our kids what we didn’t have. But let’s face it, most everything that is new and cool today was not around when we were kids. There was no Pokemon Go or iPads or smart phones in the hand of every child in the neighborhood. No way! We were old school. We went outside. we watched Saturday morning cartoons and as soon as they were over, we bolted! There was no worry about not being healthy or germs or any of that crap. We ran bare footed, drank from a garden hose, and ate watermelon and tomatoes straight from the garden. But today, it is all about the high tech stuff and who has the sweetest gadgets. Who has the best smart phone or the coolest hover board. But I say, put that crap down and unplug for once! That includes you – mom or dad reading this post! It is hard for us to unplug and our kids see that. Lead by example, I say! Spend some time with your kids making something that they will remember for the rest of their lives. Sure, they may not remember the craft or toy you built with them, but they will remember the time you unplugged and actually did something with them without having a gadget in between you. I decided to share with you some crafts and toys that are not only fun, they are educational. I won’t tell your kids that they will be learning at the same time if you don’t. Ok? Deal! I am specifically talking about fractions here in this DIY fun. 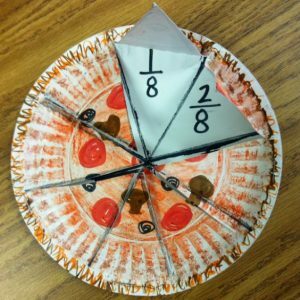 This is a way to introduce fractions in a fun, hands on way that you child won’t even realize that they are learning all about fractions. Nah, they will be too busy having a good time. Create different round foods like a pizza or a cookie and draw and decorate it on the plate. Then have your child cut the plate up and divide it evenly among the ‘guests’. If there are 3 guests, cut it in thirds, four guests, cut it into fourths, and so on. You can add or take away the number of guests to show how it would be cut differently. Use the appropriate names of the fractions that are being cut – halves, thirds, fourths, etc. Building bridges will help bring your child into a fascinating mindset with its exact science in engineering. Now don’t get too scared, it is easy and delicious way to learn. Check out some books or pictures in a newspaper or magazine to get an idea of what you want your bridge to look like. Then allow your child to bridge the bridge, only helping when you need to. 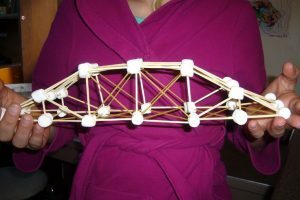 You can use several toothpicks in one marshmallow to get different angels and looks of the bridge. If a problem arises from the design, use that opportunity to explain to your child why certain designs don’t work. This will help them to see things from a different perspective. Grab some paper bags and make your own coloring book. Depending on the size of the bag you are using, you may need to cut the white paper to fit with the bag. At the top of each page, you want to name that page on what it will be later on. For example, three blue items, four green foods, etc. You can take different colored objects and cut them out of a magazine and match them up tp each page that you have made in the coloring book. Then your child can match up each of the colors to the page. 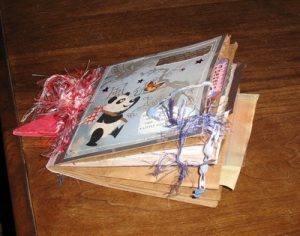 Then staple all the pages together or you can use a hole punch instead and use the yarn to tie them together. Glue or staple the bag onto the front and voila – you have your own coloring book. Most of these are for a younger crowd, but this will certainly set the tone of YOU unplugging and spending some time with your child so that when they are older, they will know what it looks like to unplug and spend time with you!